Personalized beer mug has a polished finish and a modern look. 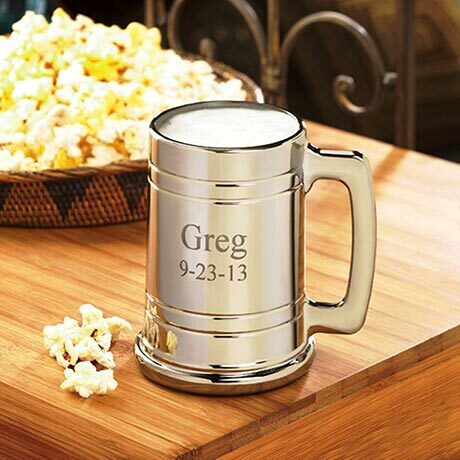 Innovative engraving process allows you to see right through the inscription. Personalize with 2 lines of up to 10 characters per line. Mug holds 16 ounces. Allow 2-3 weeks for delivery. No rush or gift box. Item can only be shipped within the Continental US.